* There is also an option to fish a half day on the day of arrival. Half day fishing is $150 per panga, 3 anglers per panga, so $50 per angler. Round trip air transportation to Cedros Island from the CBX (CrossBorderXpress) in Otay Mesa via the Tijuana International Airport. 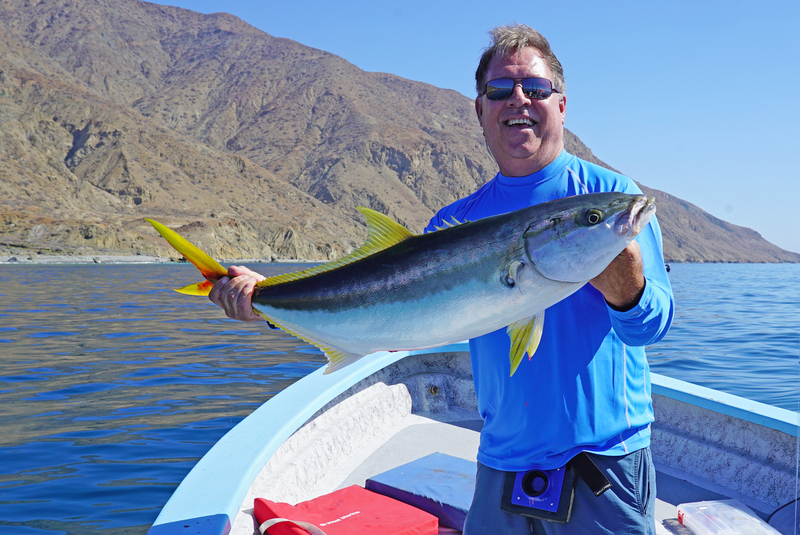 All you need to bring is your fishing gear, Passport, clothing, and a healthy appetite! Packages do NOT include: Alcoholic Beverages, Aproximately $1.00 a beer. * All gratuities, budget 15% of cost of trip. Reservations are secured by deposit.